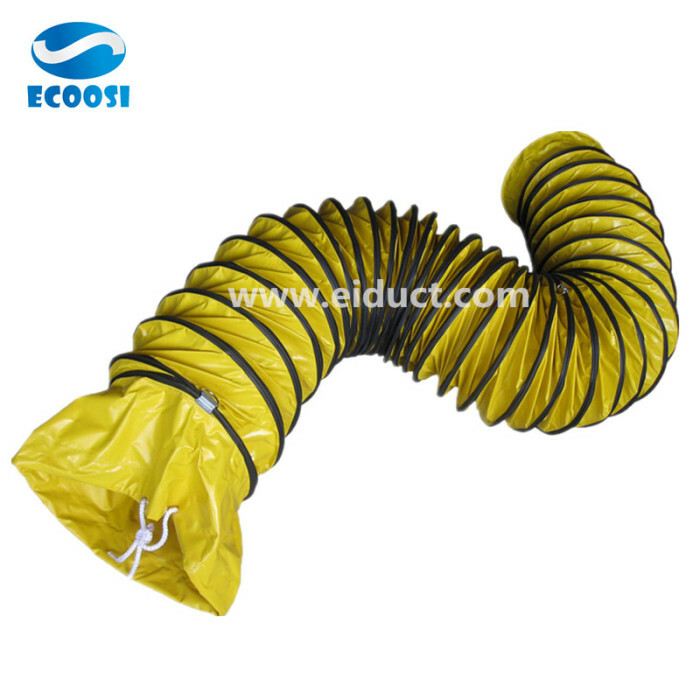 Flexible industrial PVC clear dust collection hose from Ecoosi Industrial Co., Ltd.
Ecoosis flexible industrial PVC clear dust collection hose is excellent product in almost all cases, whether as a laboratory floor runner or as a lightweight hose for ventilation in the attic. 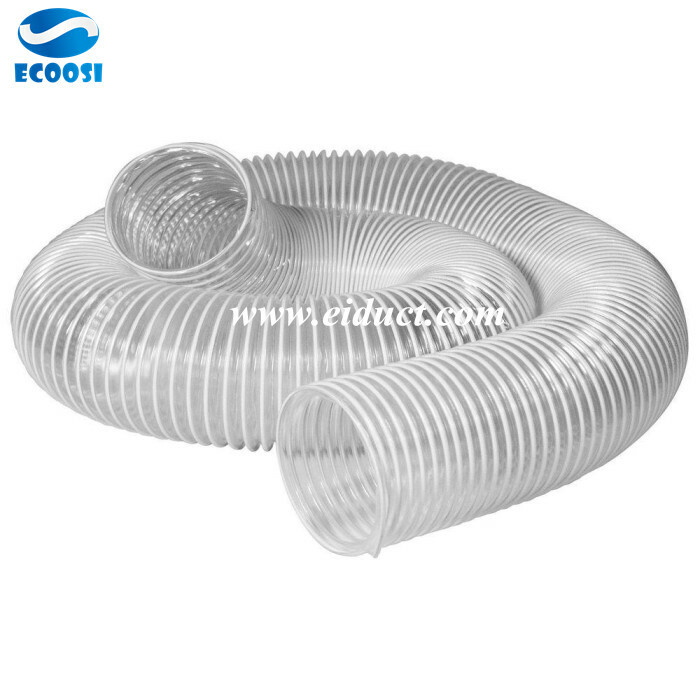 Industrial plastic flexible ducting hoses from Ecoosi Industrial Co., Ltd.
Ecoosi Industrial Co., Ltd. offers industrial flexible ducting and flexible plastic hoses suitable for ambient air movement, requiring plastic hoses to be mobile and flexible. 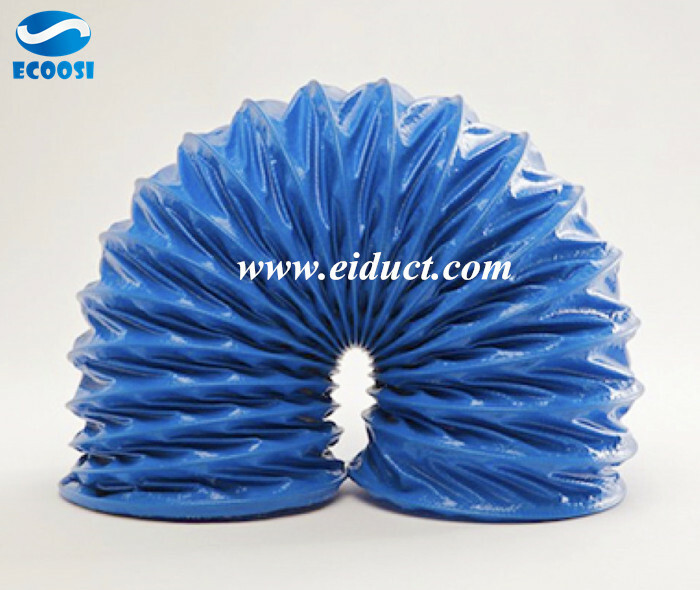 What is industrial PVC flexible fabric ventilation hose? 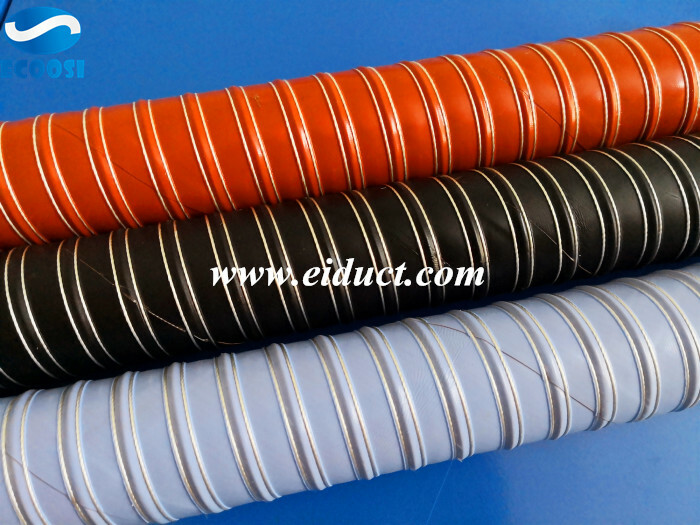 Having a industrial PVC flexible fabric duct hose provides many advantages, such as low cost, light weight and ease of installation, uniform air distribution, and a wide range of available colors and sizes. 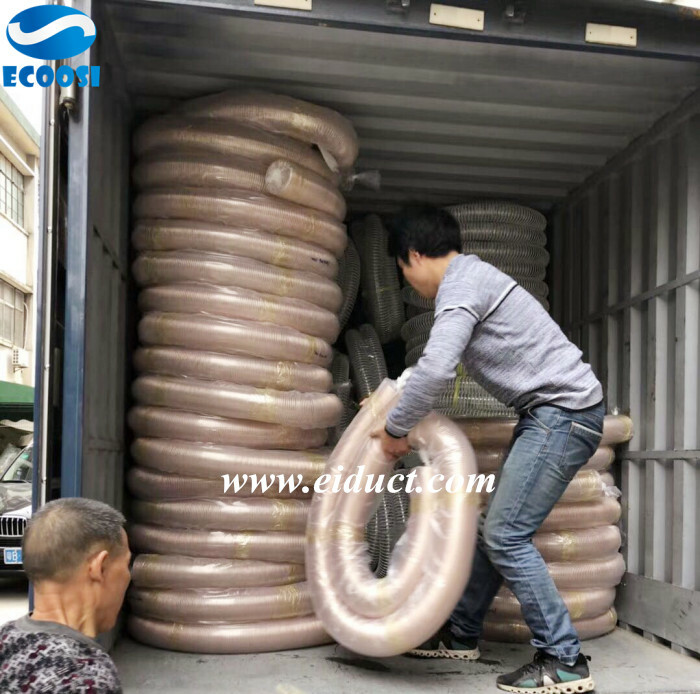 Industrial polyurethane dust collection flexible ducting hose from Ecoosi Industrial Co., Ltd.
Ecoosi industrial polyurethane dust collection flexible ducting hose is an important factor in maintaining safety and efficiency in the workplace. 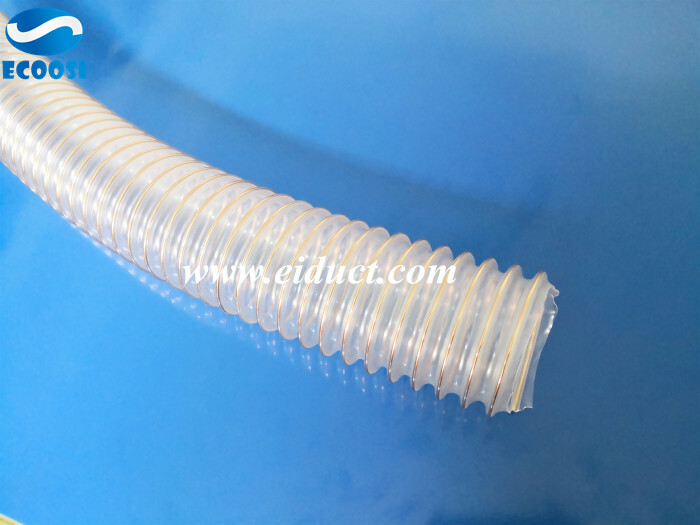 Industrial vacuum hose commonly used in two materials, one is the PU material PU vacuum hose, the other is the PVC material PVC vacuum hose. 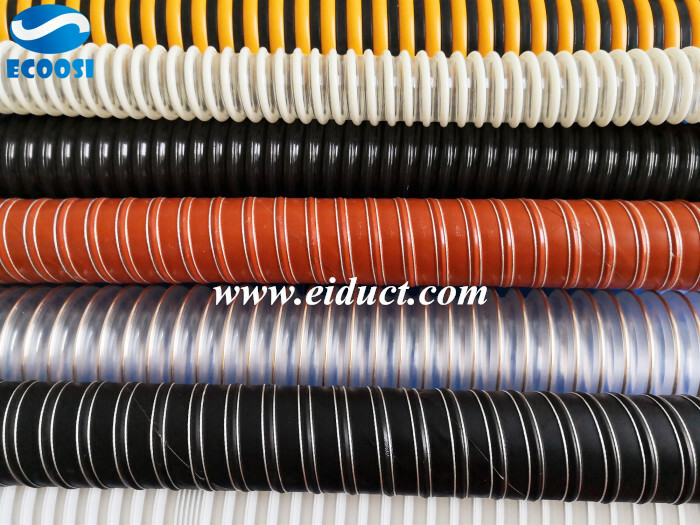 How to choose the suitable steel wire hose? 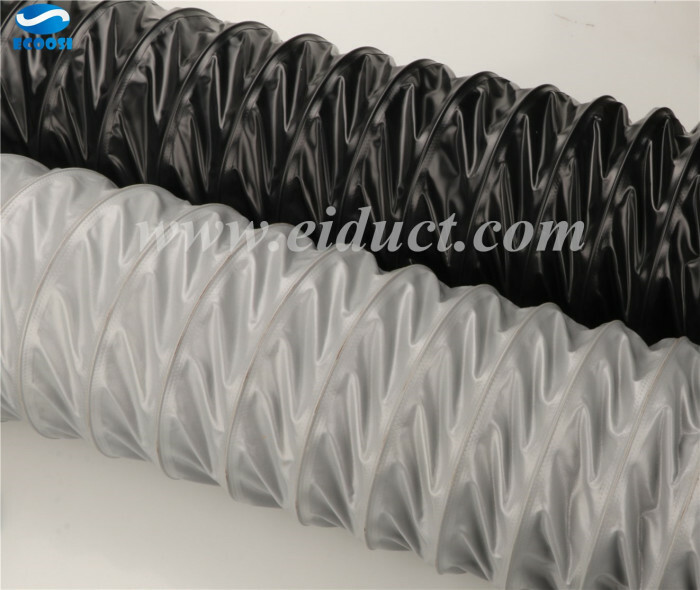 What is PVC Flexible Ventilation Ducting Hose? 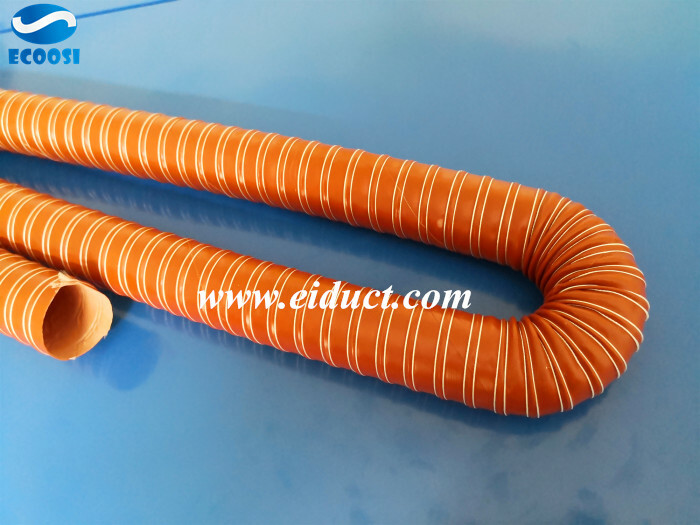 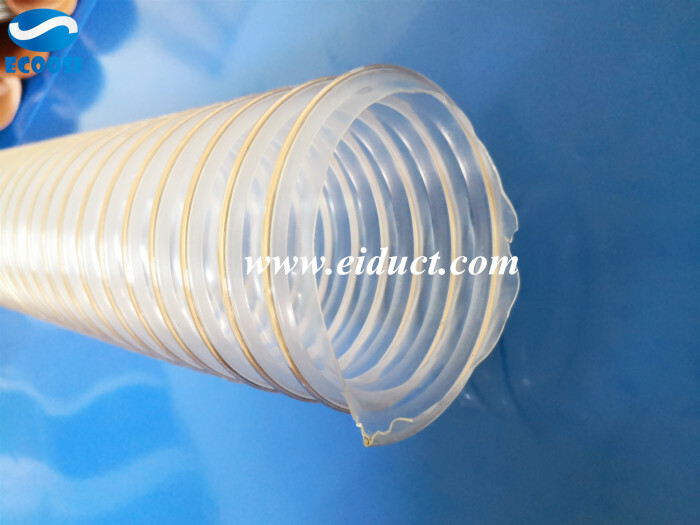 If any interests or questions in our PVC Flexible Ventilation Ducting Hose please feel free to contact us through email: info@eiduct.com or Mobile(WhatsApp,Wechatt): 00-86-187-1155-3123, we are always here to satisfy your requirement!